LaPierre, Litchfield and Partners was organized in 1954 by five associates from Alfred Hopkins & Associates: Lester S. LaPierre, Clarence B. Litchfield, Frank Bower, Gannett Herwig, and Ben John Small. Hopkins was a prominent architect of Gilded Age country estates, especially farm complexes . Although he died in 1941, the firm led by La Pierre and Clarence Litchfield continued under the Hopkins name from that time until 1954. Besides country houses and farms, the Hopkins firm was known for other types of work; Hopkins published books on specialty topics including, “The Fundamentals of Good Bank Building” in 1929 and “Prisons and Prison Building” in 1930. After Hopkins died, the firm continued to work on these projects, becoming known primarily, but not exclusively, for the two uses, with Litchfield being the lead on prisons and Herwig and Lester LaPierre on banks and others . They designed or altered at least 27 correctional facilities and nearly 20 financial institutions, under both firm names, including a significant amount of work in Latin America and the Middle East . In general, large civic projects were where they excelled, not just prisons and banks but hospitals and schools as well. 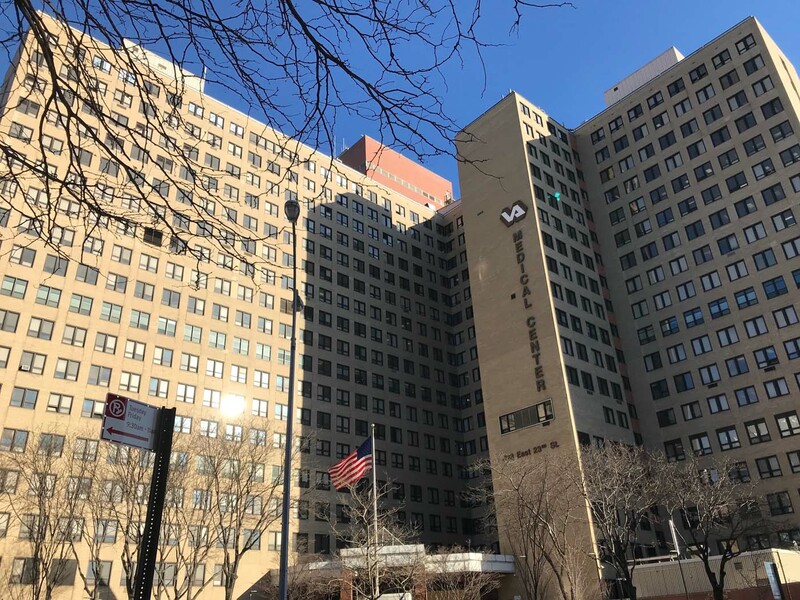 Whiting was the expert on hospital design and oversaw several Veterans Hospitals including a towering white brick version in Manhattan (1954) on East 23rd Street and a large school and residence addition to Bellevue Hospital (1955). Small was an industry innovator in construction specifications, founder of The Construction Specifications Institute, and worked extensively on these hospital projects, but died in 1957. The firm was responsible for at least 80 medical facilities worldwide, ten of those in New York State . Most of the firm’s foreign work was done under the name Litchfield Whiting Bowne & Associates, with Architect Edmund Whiting and Engineer Sydney Bowne. 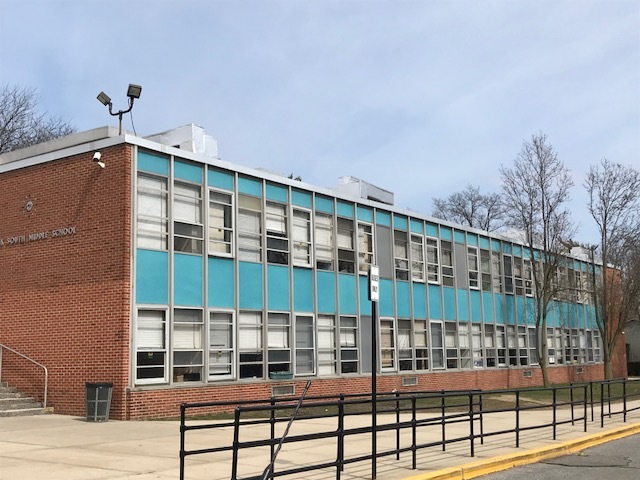 In education, their portfolio ranged from primary schools in the suburbs of New York to campus master plans for Drew University, Monmouth College, Centenary College, and Paterson College of New Jersey State University, all in New Jersey . Their primary schools tend to follow trends of the time, generally consisting of one-story schools with several interconnected wings of specialized use. Gymnasiums, cafeterias, libraries, and classrooms were all separated in what could be sprawling facilities. There was a sharp change in some of the firm’s designs after a younger generation began to have influence after 1958: John Grosfeld, Weston Weidner, and Lawrence S. Litchfield, Clarence Litchfield’s son . In Queens, their most prominent work is in bank buildings. 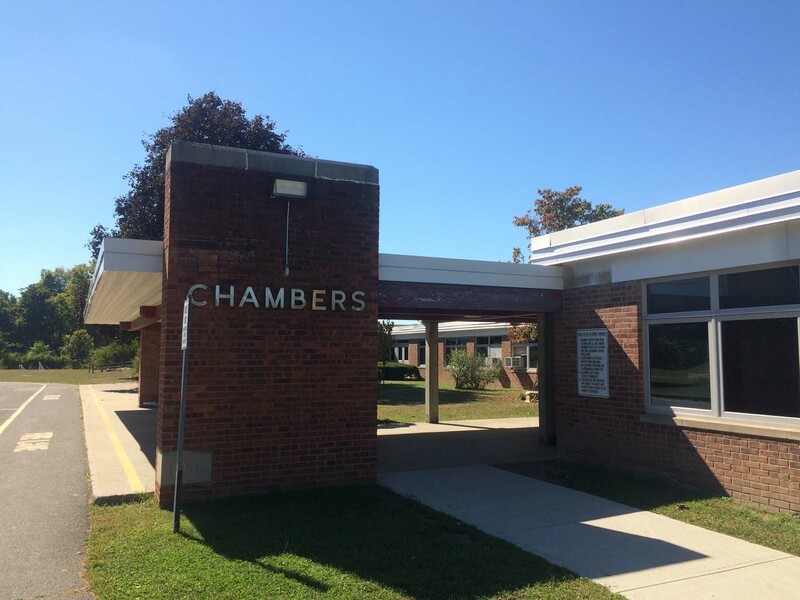 The Queens Chamber recognized this work with four awards from 1955 to 1964: Jackson Height Savings & Loan, Bankers Federal Savings & Loan, Bayside Federal Savings & Loan, and Jamaica Savings Bank. 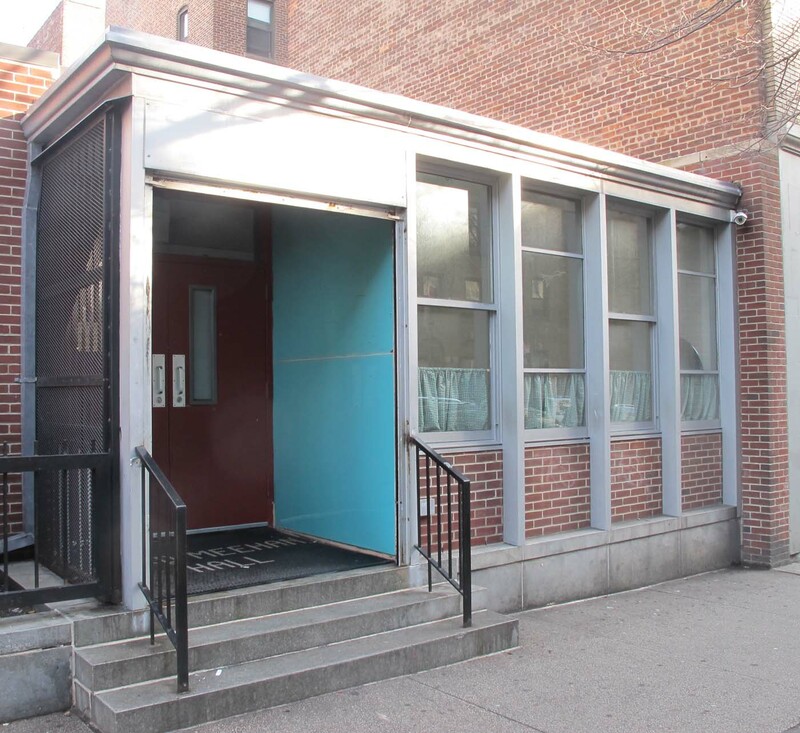 Two of these, Bayside and Bankers, are stripped down versions of Georgian Revival design, while the Jackson Heights location is transitional with a brickface facade but a more modern, streamlined building envelope. 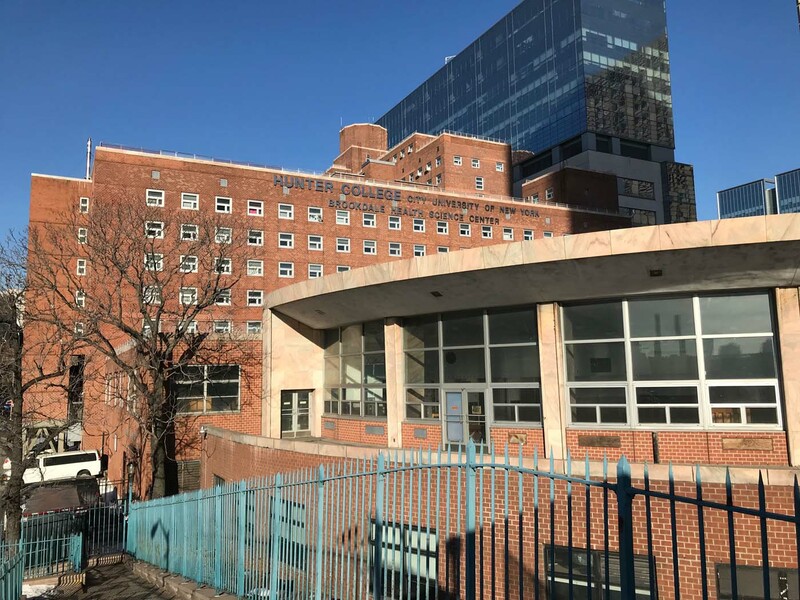 However the real standout here is the Jamaica Savings Bank headquarters in downtown Jamaica at the corner of Jamaica Avenue and 161st Street. The building is a three story structure with granite and brick facing and metal detailing centered around an eye-catching concave wall of blue glass above the angled entrance . Jamaica Savings Bank was aiming to make a statement by moving out of their Beaux-Arts headquarters across the street into this thoroughly modern design. Arguably this is one of the last significant civic improvements to the commercial core of Jamaica during this era, along with Kiff Voss & Franklin’s Central Library of 1965. Herwig died in 1966 so this was most likely one of his last major commissions. Among their other notable work is more than 2,000 units of public housing and a significant amount of projects for the federal government, especially military housing and other facilities. The firm ceased operations during a recession in the 1970s. Whiting died in 1973, LaPierre in 1976, and Clarence Litchfield in 1981. Correctional work was carried on by John Grosfeld, Clarence Litchfield’s assistant in prison design, at The Grosfeld Partnership. Clarence Litchfield’s son Lawrence S. Litchfield became a founding principal in SBLM Architects . “Alfred Hopkins” American Architects Directory, Second Edition, 1962. R. R. Bowker LLC. Litchfield, Whiting, Bowne, & Associates institutional brochure. Undated. American Institute of Architects Archives. LaPierre, Litchfield and Partners. LaPierre, Litchfield & Partners, Architects. New York, 1967. Email interview with Lawrence S. Litchfield. 28 May 2018. “Jamaica Savings Bank, Elmhurst Branch, Designation List 365, LP 2173” NYC Landmarks Preservation Commission, 28 June 2005.